warning: preg_match(): Compilation failed: disallowed Unicode code point (>= 0xd800 && <= 0xdfff) at offset 1811 in /var/www/lunchboxcity.com/www/sites/all/modules/ctools/includes/cleanstring.inc on line 157. 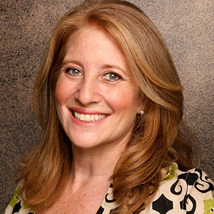 Dafna Yachin is Chief Creative Officer at Lunchbox Communications. For over 20 years she has written, produced and directed award-winning television, film, national commercials, educational programs and multimedia campaigns. Her projects have aired on CBS, ABC, Discovery, History Channel and SyFy. She has been instrumental in creating lasting series formats for both cable and syndication as well as launching engaging cross-platform initiatives for both NGO and Commercial clients. Dafna has an innate skill for identifying talented scholars and creative individuals who are great innovators and collaborators. Partnering with change-makers and production teams in over 30 countries, for the last 10 years Dafna has focused her documentary and online initiatives in the Humanities, Justice and Women's Rights arenas.